I love reviewing Schwinn products, they make my job so easy. The Schwinn 470 Elliptical Machine is no exception. Simply put, it’s awesome. A little less simply put, it’s going to be hard to find a better elliptical machine in this price range. But, I get ahead of myself sometimes. Let’s take a step back, relax, and find out why the Schwinn 470 is leading the pack in the home elliptical race. When I am planning on purchasing a product, be it tv, surround sound, or treadmill, I ALWAYS do my research. If you are reading this review right now, odds are you are also doing your research. Good, you should be. When I do my product research, I am always interested in WHO is making the product I am considering. Knowing your manufacturer is important. Companies get good or bad reputations for good reason…because their products don’t lie. And people talk. Most of us are more likely to review something if we had a really good or a really bad experience with it. Same goes with any service. If we received really good (or exceptionally bad) services, we want to share with others- either to recommend or discourage future users. As this goes on, companies earn their reputation. Through word of mouth and experiences folks have with their products. Schwinn has definitely earned their reputation as one of the world leaders in fitness equipment. I know you are familiar with the Schwinn name, it’s synonymous with bicycle. They started as a bike company in 1895…yeah, that’s not a typo. They have existed for well over 100 years. That type of duration should say enough, you don’t last for over 100 years by producing less than desirable products. They started producing fitness equipment in the 1960’s and have been a leader in the fitness equipment world ever since. They are actually part of the Nautilus group now (as is Bowflex). Nautilus is another huge name in the fitness industry know for producing durable, high-quality machines. So even though they are well known for their bikes, as they diverged into fitness equipment, their line of products quickly expanded. Over the last 15 years or so, Schwinn has been producing high quality ellipticals, treadmills, and recumbent bikes as well. Oh, ever heard of the Airdyne bikes? Yeah, that’s Schwinn too. See, told ya they were impressive. So, my point with this little history lesson is that Schwinn is a very trusted manufacturer who has been around for a really long time. Their products are always highly rated because Schwinn makes it their business to produce some of the best fitness products on the market. That’s kinda their thing. Prices on ellipticals can vary big time. As do prices on any home fitness equipment really. Ellipticals are no different. The more money you are willing to spend, the nicer machine you are going to get. That is not to say that you have to break the bank to get a quality product. When talking price ranges for home equipment, you could break down it several ways. For this post, let’s split price into 3 groups: economy, mid-range, and high-end. An economy elliptical is going to be anything for under $500. You really have to do your research if buying something in this product because you really never know what you’re going to get. These machines typically are less durable, have less features, weak (if any) warranties, and are less comfortable to use. The mid-range group for ellipticals is going to be any machine with a price between $500 and $1000. This is the price range I think most home users need to be in. In this price range you are going to get a lot more features, a much better warranty, and a much more durable product. These machines should be able to withstand multiple users without fear of rapid wear down. Anything over $1000 is going to be considered high-end by me. It’s a large category because you have your nice $1200 home use ellipticals as well as your $6000 commercial grade machines. These machines are designed for heavy use by multiple users. They are more comfortable, more durable, better technologies. The Schwinn 470 falls in the mid-range group of ellipticals. Best Price: Check On Amazon Now! The 470 is Schwinn’s latest model of elliptical. It includes several upgrades from it’s little brother the 430. Primary differences include: motorized incline ramp, 5 additional levels of resistance, backlit console which is a little easier on the eyes, 7 more workout programs. With the Schwinn 470, you can get a great total body workout from the comfort of your home. A nice feature is that is has both moving and stationary handlebars (not all home ellipticals do). This way, you can modify your workout to concentrate on legs or arms- adds some nice variety. The 20-inch stride length will feel comfortable as you elliptical away those calories. The spacious, cushioned foot plates add to your comfort. The 470 has a steel frame with stabilizers to ensure a stable, durable workout. With 25 levels of resistance and 29 workout programs, workout variety shouldn’t be an issue. This bad boy can provide as much resistance as you can handle. With bluetooth compatibility, keeping track of your stats couldn’t be easier. Check below for a full list of all the features the Schwinn 470 has to offer. Ceiling height warning: make sure you have enough head room wherever you are planning on putting this machine. The max footplate height during use is 21″. If you add this to your height, you should know how high your ceiling needs to be to safely use this machine (add a few extra inches for safety). So like I mentioned in the intro, reviewing these Schwinn products is easy- because they are always quality products. Schwinn is one of the most well respected fitness equipment manufacturers out there because they take pride in their product. They have become well known for providing a great product at a great price. The Schwinn 470 is a great buy for the price. It’s going to be very difficult to find an elliptical in the $500-$1000 price range that has more to offer than the 470. A durable machine with a 300 lb max user weight limit- you know me, I am always interested in the max user weight because it is an indication of durability and stability. A flimsy, light-weight machine is going to have a lower max weight limit. One of the things that really sets the Schwinn 470 apart from the competition is comfort. With the over-sized foot plates and ergonomically designed handlebars, every workout should be comfortable from start to finish. The 20-in stride length will also keep your workouts feeling smooth and comfortable as you burn those calories! This machine has a great warranty, as do most Schwinns. 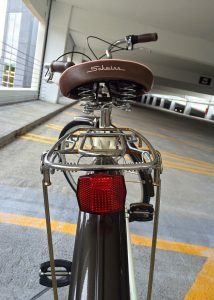 Again, Schwinn puts out a product it is proud of and they are not afraid to back it up. So, in conclusion, you can’t go wrong with this elliptical. If you are looking for a nice, mid-range home elliptical, look no farther. The Schwinn 470 elliptical has everything you will need to get a great workout in the comfort of your home. I hope this review was helpful. If there are any questions or comments, please don’t hesitate to hit me up. I will get back to you soon. I totally get what you’re saying because I too do first my research about a product that I am contemplating to buy before parting ways with my money. Me and my sister have been thinking of getting a new fitness machine ever since our treadmill finally shut down, but we couldn’t get to agree on what to replace it with. We love home work outs because we can do it together and we have the chance to bond. We’re both busy with our day jobs and we only get to spend together when we visit our parents during the weekends. I think the Schwinn 470 Elliptical Machine is perfect for us. We’re currently on a tight budget, however, we’re not willing to sacrifice good quality just to save a few hundred dollars. I will be showing your review to my sister and I’m sure she’ll agree with me that the Schwinn 470 elliptical machine will be worth every penny we’ll spend. Thank you for introducing me to this fitness machine. I’m glad the review was helpful for you. You really can’t go wrong with a Schwinn. If any questions come up, feel free to ask. Nice comprehensive review. Might be a good buy for my grandparents. Thanks for the review Will. Like you said you want to do your reeearch before you buy a product. And something that costs up to $1000 required some thinking about. You don’t want to be throwing your money away. This looks like a great a great machine, and being in business for over 100 years that surely is a good sign for me. I like how the warranty is 10 years. That’s pretty good right? It sounds good. Do you reckon this is a good machine for beginners? I wonder how long it will take me to set it up, lol. Hey Owain, yeah a 10 year warranty is impressive, especially for machines in this price range. This machine would be great for beginners, it’s comfortable and has plenty of resistance to keep you working as you progress. Assembly can take up to 2 hrs, maybe less with 2 people. I hope that helps, thanks for reading. I do my research too before buying anything especially if it is an expensive item. I don’t have the space for a fitness machine like this right now but thanks for introducing me to Schwinn. Great products and post, I can remember having a Schwinn bicycle when I was a kid. Good quality products. oh yea, those Schwinn road bikes are great too. Good quality never goes out of style.